Done about 300 miles in the car in the past week. And boy is it WOW! WOW! WOW! Many positive comments from family, friends and colleagues who have seen the car, and the colour seems to make everyone smile. Engine is absolutely stonkin' - no delays or hesitation, just sheer brute delivery of power. Bucket seats are surprisingly comfortable (I'm 1.75m), but you need to be an Olympic gymnast to get out of them. Steering seems super-direct compared to my previous C4S. Every undulation, ripple and feature of the road surface is fed back up through the steering system to the steering wheel. No front end "bobbing" (as on the C4S) from the front end at motorway speeds. Just feels absolutely planted. Brakes are standard cast iron. Initially dead when cold, and squeal like a pig when coming to a standstill, but immensely powerful and confidence inspiring on the move. Still trying to understand the best technique for tackling gentle slopes from standstill when the HOLD function is not engaged. No creep function on the gearbox like other PDK cars, so a chance of some roll-back. Instead, some slackness and a clonk from the rear axle as drive starts to engage. If anyone can help explain the best method for smooth starts on small inclines with zero roll-back, it would be much appreciated ? Anyone know if the brakes on a Turbo are different to the ones fitted to a GT 3, talking std brakes not PCCB. Congrats DRZ - can't help with the roll-back I'm afraid (handbrake and clutch bite with my old jallopy ) but what an absolutely cracking car and great colour to go with it. Health to enjoy. Can't be too many yellow GT3's around the Old Smoke so I'll keep an eye out and pass a friendly wave if I see you. Thanks FRZ, look forwards to seeing you out and about. The car is just stunning - must catch up to see it P! Looks like an amazing machine, every journey an event! Will you take it on a track, surely the only way to get to know just how much of an automotive masterpiece you've got there. Reckon on my long journey to understand what the GT3 is all about, at my most optimistic I would say I'm at about 10% at the moment. If, and when, I feel I'm starting to understand how the whole thing works and flows together (when I'm maybe at say 40%), I would certainly consider taking it to a track. Have done a few track days to date in other cars, so know I have a really long way to go before I can do credit to the GT3 on a track. Good plan. Took me a while to take my GT3 to a track and found myself being let past everything else for one of the sessions, didn’t expect that, I was just trying to do the basics as well as possible. Incredible machines. I would say do it as soon as you can, I learnt so much more about the car in one evening on track than I had in the previous 2000 miles. They are so good and come alive on track, I was initially very nervous of 500bhp and rear drive but the car is both supremely capable and very forgiving, the electronics really do look after you. On many occasions it let me get away with things that I’m sure other cars would have had me facing backwards in the gravel. The only problem I had was the noise limit, and that’s with a stock system!!! Car looks incredible and what a story, what was he doing there? 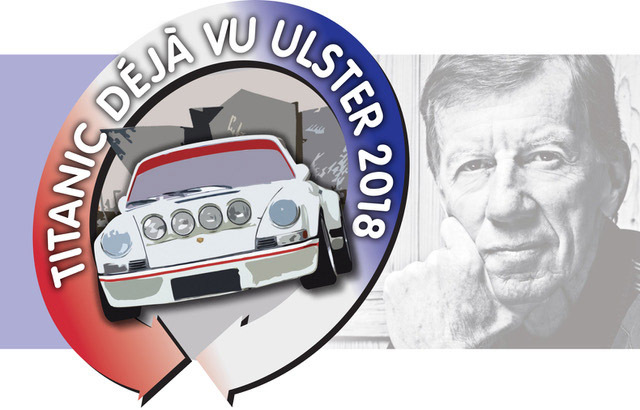 Walter was over at the invitation of Déjà Vu Motorsport who had arranged a 2-day rally based around the Titanic Quarter in Belfast. The new local OPC is just around the corner from the Titanic Centre, so the OPC offered to facilitate an evening meet-and-greet event for DVM who had invited Walter over as a guest. By sheer coincidence, I happened to be picking the GT3 up at the same time. Got to say that I feel so very privileged to have met Walter. He was a real gent and certainly deserves his nicknames of The Human Computer and Genius On Wheels. For me, he turned a very memorable hand-over of a GT car into an unforgettable once-in-a-lifetime event. Congrats OP...they're fantastic cars and definitely a car that the more mileage you do the more you appreciate it ! You absolutely have to get it on track to really see what it can do. I was lucky enough to get a new allocation so did my half day at the PEC and have subsequently with PCGB done another half day at the PEC in my own car. I am going to use one of the PEC instructors to have some price tuition and also go back and do something called a Precision Day at the PEC which is mostly on the main circuit in your own car. Next year I want to do some road trips. Oh and great choice of colour....GT3's just wear the bright colours so well. Mine is Lava Orange which is I think pretty much the least popular colour. Great advice and very reassuring. Yes, the standard exhaust is aural-tastic!!! - don't know how they got it homologated for road use. Currently trying left foot on the brake, or pulling on the electronic brake on every slope. Both are a bit like trying to pat your head and rub your tummy at the same time. Will hopefully get better with time and develop a technique. Can you put on the handbrake and just drive off?